Constructed of rugged polymer composite, the Air Rifle magazines are engineered to elevate performance to SIG standards. 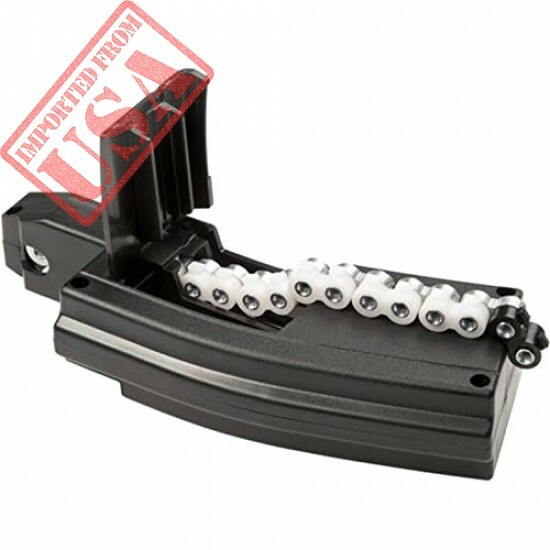 This patented magazine removes the limitations to firing speed in the SIG MCX and SIG MPX Air Rifle. Using a rotary pellet drive system, the SIG RPM smoothly feeds 30 rounds per belt - with three refillable belts included - for consistent optimized firing.